Smart speakers are popping up all over nowadays. 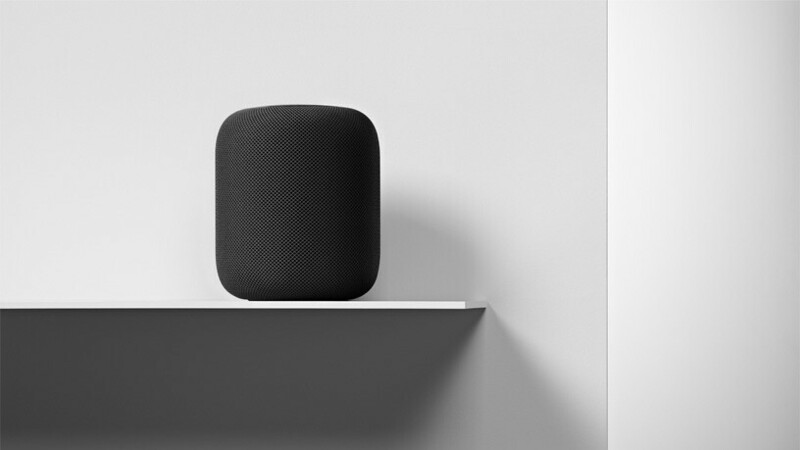 Amazon has the Echo, Google has its Home, Apple is finally launching the HomePod, LG has been spotted to dabble with their own home speakers, and a Samsung smart speaker with Bixby on board has been rumored for a while. So, obviously, manufacturers believe that's the future. What do those products give us? Easy queries, web-searches, note- and reminder-making, texting, calls, and music playback through a simple voice request. And addressing your smart assistant by voice is definitely much less awkward when you do it in the comfort of your own home. So, it's not a "must-have" product, OK. But it's definitely a "nice to have one", especially if you are transitioning into the whole Internet of Things and smarthome appliances and accessories. We thought we'd ask — how many of you are getting / have a smart speaker? Well... almost half of the ones that voted do! But then again, the other half are either entirely not interested. So, smart speakers are not really a smash hit, or at least not yet. Would you buy / do you have a smart home speaker? I have one / am buying one ASAP! Google gave me one for buying the Pixel. It's perfectly loud enough for listening to music, setting alarms and reminders, daily forecasts and events. You can also listen to podcasts. If you have a TV and Chromecast, then it's also great for movies, YouTube videos, Netflix, and more as well. Not to mention you can call anywhere in Canada or the US. No smartphone needed. As far as being a thing. I would say smart speakers are definitely a thing if the price is good. If the price is over $200, it will definitely not be a thing. It will be a niche at those prices. about half of those people are the type of people who said they will never buy one until they used one. I have one in my car. Reminds me a bunch of task and plays my music while I drive, less distractions for sure And best of all, after a cold long drive in the evening this winter, I can tell my Echo dot to turn on my lights and heater with a 30 bucks power strip I got on Amazon and it's like I'm living luxurious though I'm not. This is one of those times you can't say it's a first world problem because it will change your life. For those who voted not interested, My parents & 4 workers over 50 said the same until they got one for Christmas, & now they love it. I received one Xmas of 2016 and returned it within a week. It felt redundant to have a smart speaker and a smartphone. I had to make myself use it when I did use it for the first couple of days. Well if you live in Jamaica without smart home tech and major streaming services it's kinda meh. Oh please, they work well if English, and maybe Korean or Chinese is your native language. In my own case IF I speak English it's with some thick weird accent thus all those voice assistants and smart speakers are useless. Not to mention that the majority in my country doesn't even speak English.